You have probably heard of any of the terms "cold call", "calling from Windows" or "phone scam" before. someone unknown to you calls you, telling you there's an issue with your computer and they can fix it. Recently, I received a machine and report from people who had been so unfortunate as to fall for this scam. In this post I'll be dissecting how the scam works, why it works and what to do to protect yourself, as well as what to do if you've already been scammed. Usually, the scammers will simply open up a phonebook and start going down the list of names. "Hello Sir/Madame, we are calling from Windows". A man or woman tells you to browse to a certain website and connect with them so they can repair or restore your computer. On this Pastebin is a list of numbers which are being used or have been used for these cold calls. Often though they'll use a "private number", "anonymous" or unknown caller ID. They may also spoof the caller ID. It doesn't matter which operating system you use or which type of computer, they'll always state there are critical system errors, thus you should connect to a certain website, download and run a program. Like stated before, these tools are not malicious. Often free - they're a simple way for a technician to connect to a customer's machine (for example) and solve a technical issue. Unfortunately, they can also be used for malicious purposes. Some of these tools have clearly stated they are not associated with any of these scams. Other tools provide a form to fill in if abuse is suspected or witnessed, like LogMeIn. Next up: say you have downloaded and executed one of those tools and the scammer now has access to your machine. 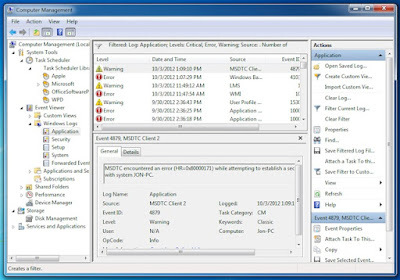 There are several known scenarios, but it usually boils down to them showing you the Event Viewer (a legit tool by Windows which can provide useful information in event of system crashes or simply system information. More information here). Usually, you'll find one or more errors in there, unless the machine was freshly installed. Note that it is not unusual at all. Sometimes, this part works the other way around: they will first ask you to open up the Event Viewer so you can verify they are speaking the truth (but not really) and there are indeed "errors on your machine which need to be fixed as soon as possible." You have to pay a reasonable sum of money, say 5 or 10 euros/dollars/pounds. You have to pay a not-so-reasonable amount of money, varying from 100 to 300 euros/dollars/pounds. The "technician" claims the transfer did not work or was incomplete and asks to try again. They will steal login information and/or CC credentials or other bank account/Paypal/.... information. It is also possible they install fake antivirus software (rogueware) or even a cracked copy of antivirus software (for the cynics: no, they are not the same). Which in turn means you'll need to get rid of that as well... And have to cough up more money. Other reports have pointed out that - when the scammer's patience runs out- critical files (Windows system files) or personal documents were deleted by the scammer. It is not entirely certain when the first phone scams as described in this blog post began. If you do have a timeline, be sure to let me know so I can include it. This type of social engineering may be well known by now, but is not that much in the media in comparison to other types of threats. Small remark here, don't be fooled: you're not the first one and certainly not the last one they will try to scam. There's in fact a whole business model behind the scam - call centers filled with "technicians" whom will do nothing all day but call people and try to scam them. Obviously, the scammers use a certain tactic to convince you to pay them your hard-deserved money. This tactic is mostly known as FUD. (Fear, Uncertainty, Doubt) There's a Wiki link available by clicking here. Uncertainty: you may have had some slowdowns recently. Or - coincidentally or not- you just had malware. Doubt: "I did have this issue, maybe they can help me?" No! Doubt is their product, you being uncertain is their second step for a successful scam. The third part is fear and eventually you giving in. It is always possible you recently had some issues with your machine, but that doesn't mean the scammers know. They are just guessing and hoping you'll fall for it - most people are trustworthy, right? Not on the internet. Often, the remote tools mentioned will utilize an ID or code. Write down the ID or code. Write down the date and time when this remote sessions happened. Write down your public IP address if known - you can also check this via whatismyip.com. Write down the phone number(s) as well as date and time when they called you. Unplug the ethernet cable or turn off your wireless. Reboot your machine. Is a pop-up coming up asking for a connection or waiting for a connection? Close it. Call your bank, your CC card provider, Paypal or whichever means you have used - call your financial institution as soon as possible to cancel the transfer! Uninstall any new & unknown software you find. 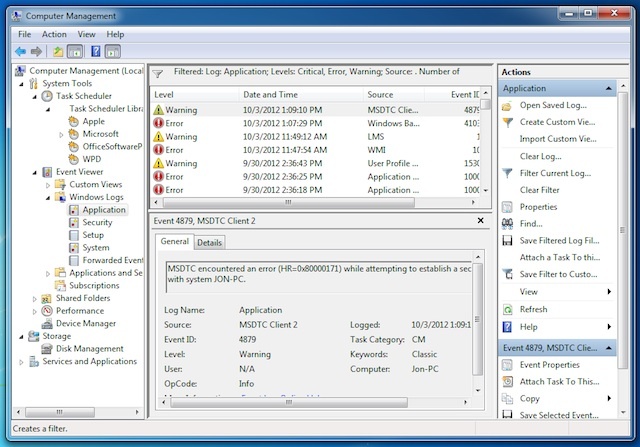 Verify in Add/Remove programs if none of the above mentioned tools have been installed, for example. Also check the usual locations, for example C:\Program Files or C:\Program Files (x86). Perform a full scan with your antivirus software, especially in the case of a fake antivirus or rogueware. Restore internet access at this point and run a scan with another online antivirus. Call your phone company! Ask them if they can verify who has called in case of an unknown caller ID - or to block the specific numbers should you receive these calls regularly. Change passwords of your computer - meaning your user password, but the password(s) of your bank account/Paypal and others as well. When you deem this necessary, perform a system restore of your machine. In serious cases, an even better option is to format your machine completely (though usually not necessary). Now, file a complaint via the Internet Crime Complain Center (IC3) or via your local police station or CERT (list of CERTs available via Enisa or Europol). Include any information you have gathered. It is important you do this to be able to uncover and jail these scammers. If you were redirected via an ad on a legitimate website, file a report via TrustInAds as well. Do not be afraid to ask for further information. Unknown caller ID or private number? Don't pick up, unless you're indeed expecting a phone call. Weird or long number calling you? Don't pick up. If you decide to pick up, listen to what they have to say, smile and put down the phone anyway. Receiving these calls regularly? Call your phone company so they can block it. If you're receiving a lot of these calls, be sure to not pick up, as they'll know there's someone on the other side, even though you put down the phone immediately. Avoid shady "tech support" websites. A tool which may help you in this is WOT - Web Of Trust. Add yourself to the National Do Not Call Registry (US only). This may not prevent phone scammers, but it does prevent other marketeers from calling you and spreading your number to others. For all other countries: inform with your local CERT for options, as there aren't many available. If you are managing someone else's computer it may be a good idea to set up a limited user account. Last but not least: use your common sense! When in doubt, simply hang up the phone. Include a clear page on your website warning about the possible malicious use of your software. Include an abuse report form - whether via a ticketing system, by call or mail or any other means. Send all information the victim provided to the legal authorities so they can take action. Inform the user of what has happened - should they blame you. Refer to your warning page about this scam. As pointed out in this blog post, phone scammers are not new. Yet their scare tactics still seem to work. Just like other cybercriminals, phone scammers need to be put down. You can help if you were a victim by reporting this incident to the authorities. Follow the tips above to be able to protect yourself better. Finally, I've added some other useful resources and documentation on this type of scam down below.